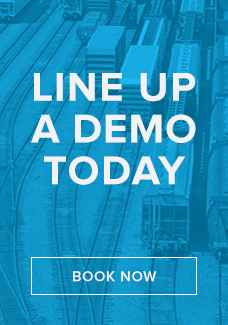 Which Railcar Tracking System Is Right For You? Today, rail logistics is more complicated than ever. There are more railcars moving shipments then in any other time in history. With railcar supplies scarce, optimal asset utilization and efficient fleet management becomes a strategic advantage for industrial shippers. Rail logistics professionals need more than basic rail road supplied data to compete and excel in the 21st century regardless of fleet size and shipping volumes. You require an industry leading, intuitive and flexible software solution. Whether you have 10 cars or 10,000: choosing the right platform for your organization can be intimidating. Here are some things to consider when evaluating a hosted rail Transportation Management System (TMS). 1. What functionality do you require? Regardless of fleet size or shipping volume, selecting the right solution will have a major impact for your organization today and in the future. While you don’t want a system lacking in functionality, systems that are too complicated may reduce efficiency. Take the time to review current needs and challenges of your rail management team. Consider future needs and desires as selecting the proper solution can provide benefits to your entire organization, not just the rail/transportation team. This includes customer service, sales/marketing, yard operations and senior management. Customers with less than 10 cars in their fleet can often get away with a simple solution that covers the basics. 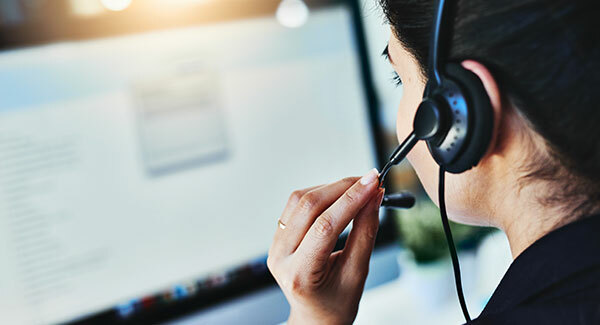 Larger fleets with more complex needs will likely seek a more robust solution that caters to the needs of multiple users within your organization. However, even small fleets can take advantage of advanced features to improve efficiency, performance and profitability. Here is a breakdown of the basic functionality that can benefit all users, as well as next-level functionality designed to take fleet management to the next level. 2. Choose a system that provides a great user experience. You can have the best and most functional software platform in the world, but if it’s confusing and difficult to use (especially in a team environment) you can create more problems than you solve. Visual tools such as Map Views and Yard Diagrams can provide key information at a glance. Make sure the system allows for easy sharing of need-to-know information among team members – and with clients. 3. Do you require a yard management tool? If you operate your own yard, a yard management module will dramatically improve communications between the yard and the office. A yard management module will enhance your ability to direct, document and coordinate all yard-related tasks from a car’s arrival to its departure – including inspections. 4. Do you want the ability to view your fleet on a mobile device? Trying to view a website on a mobile phone can involve a lot of squinting and scrolling. To overcome this challenge, the more innovative software providers offer an app-version of their platform. Apps are specifically designed to work faster on mobile devices and provide a more streamlined experience for remote users. 5. Do you use data to guide business decisions? Marketers can quickly access customer account information, confirm delivery, and compare year-over-year sales volumes. Fleet Analysts can use data to find ways to improve efficiency and potentially reduce the fleet size as a result. Executives can stay on top of fleet performance, utilization, turnaround days, trip cycle days and fleet fluidity. Analytic data can be used to evaluate railroad performance. 6. Is it backed by customer support and training? Be sure to partner with a provider that offers basic training and ongoing technical support when you need it. Some companies also offer detailed training workshops, designed to help users go beyond the basics and learn how to take greater advantage of the platform. Tip: If you choose an internet-based (subscription) software solution, you don’t have to worry about installing complex software. You also won’t need to maintain dedicated in-house servers, as all data is securely stored off-site on the provider’s system. 7. Create a list of must-have and nice to have features. Immediate needs and future desires. When creating this list, be sure to get input from all departments that will be using the system. Provide a helpful worksheet for respondents to complete that identifies their immediate and long-term functionality requirements. Not all railcar management solutions are created equally. Do your homework. By choosing the right solution, you’ll make your job easier and improve fleet performance in the process. "Because reports are easily prepared, it saves me considerable amount of time. Demurrage disputes have been more successful since the adoption of GeoMetrix." "GeoMetrix is a progressive company that is constantly improving and adding additional features that make them more valuable to their customers."